This past Sunday morning, I stepped outside and thought what most New Englanders were thinking: “Geez, it’s wicked cold today”. True to my roots, I swiftly decided it was an indoor kind of day and promptly issued a movie poll to our youngsters. Without delay, I announced “Emoji Movie or Angry Birds?”. Not surprising, the beautiful, wise one in the family proposed a different and far more relevant idea. “How about a holiday movie?”, my wife inquired. In a totally unplanned but completely synchronized effort, the entire clan began honking, “Rudolph, Rudolph, Rudolph”. A simple $8.99 purchase settled our squad and we crystallized our Sunday morning on the sofa with a showing of the 1964 animated holiday classic, Rudolph the Red-Nosed Reindeer. A whopping 47 minutes later, I watched as both boys earnestly cheered for Rudolph as he answered St. Nick’s enduring challenge, “won’t you guide my sleigh tonight”. As the credits rolled, I observed everyone in the room was happy and smiling. The undeniably contagious tale had captured our hearts and instilled us with joy. I had sung the song and watched the movie countless times over the years, yet I had never really considered the significance of the narrative until this day. The cute little characters, Rudolph and Hermey the Elf, (who looks eerily similar to our youngest) must find the strength to overcome real adversity when they are shunned as a result of their differences. In the end, the lessons are timeless and universal; the characters’ experiences, such as facing fears and believing in oneself, are directly applicable to the challenges within youth sports today. Following last week’s clinic, my mother relayed a meaningful conversation she had with another parent. “To date, try as hard as we have, our 7-year-old has never really shown any interest in sports; however, since he’s started Scoops three weeks ago, all we hear nowadays is the question of whether it’s a Scoops night?” “As she recounted the story, I felt elated since the child’s excitement reinforced both my passion and dedication for launching Scoops. When Scoops Lacrosse began its journey on November 14, 2017, the purpose was simple, to create a platform for our kids, no matter the age, gender or skill level, to have opportunities to have fun while learning the fundamentals of a great game. In short, Scoops Lacrosse would be a positive learning atmosphere that encouraged exercise, creativity and learning. The motivation was born from the staggering number of kids who drop out of sports at such a young age in our country. A mind-blowing 70% of kids drop out of organized athletics by age 13. Whereas some leave due to financial constraints or time constraints, most stop playing because it just is not fun anymore. The people responsible for this, and the only ones who can change it, are the adults--specifically, the parents and coaches. Those of you who are familiar with Rudolph’s story may remember how hard Old Donner, Rudolph’s father tries to hide his son’s non-conformity. In the interest of gaining Santa’s acceptance of his son, Donner insists Rudolph wear a fake nose. 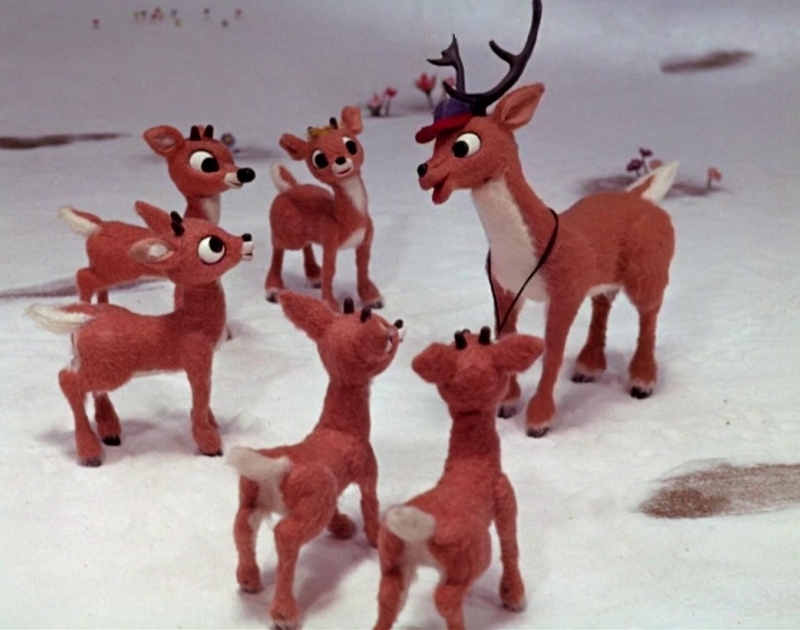 However, after Rudolph’s fake nose falls off and the others begin to tease him, we hear the once positive Coach Comet say, “Donner, you should be ashamed of yourself. What a pity. He had a nice takeoff, too”. And it is only after Santa’s request for Rudolph to guide his sleigh, do we hear, the yearling’s father say, “I knew that nose would be useful someday”. As both a father and coach, I fully understand we want the best for our sons and daughters both on and off the field. However, we must continually remind ourselves every kid is unique and special. In doing so, we must acknowledge that one kid’s path to success will look completely different than another’s. Later that day, I remembered a relevant, poignant moment in American T.V. history. In 1969, Fred Rogers, most widely known for Mr. Rogers’ Neighborhood, addressed the Senate for a mere six minutes. * His message was clear and simple: children learn best in healthy family environments where each child is accepted as unique. Yet, what is even more impressive than the 20 million dollars Rogers secured for PBS with his testimony is his closing message, viewed by household across America for over 40 consecutive years. Roger’s praiseworthy declaration, “You've made this day a special day, by just you being you. There's no person in the whole world like you, and I like you, just the way you are." continues to inspire me today. As Chief Scoops Officer, and more importantly as a dad, I’m excited to throw out the following gauntlet to everyone reading this blog: Force yourself to encourage more of the play while they are playing ball. Strive to enjoy the entirety of the journey. For if we offer acceptance, we will be agreeing to replace the unnecessary competitiveness, conformity, and pressure being placed on our youth with something much greater, something larger than any of us. In essence, we should strive to provide opportunities for our kids to have fun, stay active, be creative and learn valuable life lessons at their own speed. From the bottom of my scoop, I, Coach Bels, wholeheartedly accept the challenge and I hope you will continue to join me. *Fred Rogers’ Senate Testimony clip below.